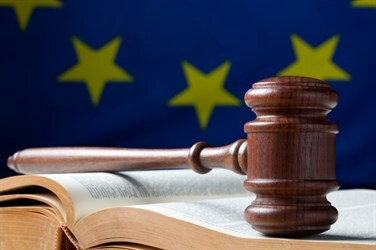 NiceLabel Blog - The EU MDR and IVDR have been approved. So, what’s next? NiceLabel Blog The EU MDR and IVDR have been approved. So, what’s next? On April 5th Europe finally adopted the MDR and IVDR after a vote at the European Parliament. This was the last step in the European Union’s long process of overhauling medical device and IVD regulation. The new regulations on medical and in-vitro diagnostic medical devices will help to ensure that all medical devices – from heart valves to sticking plasters to artificial hips – are safe and perform well. To address this, the new rules will improve market surveillance and traceability as well as make sure that all medical and in vitro diagnostic devices are designed to reflect the latest scientific and technological advances. The rules will also provide more transparency and legal certainty for producers, manufacturers and importers and help to strengthen international competitiveness and innovation. Improved quality, safety and reliability of medical devices: The new rules will impose tighter controls on high-risk devices such as implants, requiring a pool of experts at the EU level to be consulted before placing the device on the market. Controls will also be tightened on clinical trials as well as on the bodies that can approve the marketing of medical devices. The new rules will also cover certain, previously unregulated aesthetic products. In addition, a new system for risk classification in line with international guidelines will apply to in vitro diagnostic medical devices. Strengthened transparency of information for consumers: The new regulations will make sure that vital information is easy to find. For instance, patients will receive an implant card with all the essential information, and a unique device identifier (UDI) will be mandatory for every product so that it can be found in the new European database of medical devices (EUDAMED). Enhanced vigilance and market surveillance: Once devices are available for use on the market, manufacturers will be obliged to collect data about their performance and EU countries will coordinate more closely in the field of market surveillance. The focus will now shift from planning to implementation. The new rules will go into effect three years after publication for the regulation on medical devices and five years after publication for the regulation on in-vitro diagnostic medical devices. To comply with the traceability rules, medical device manufacturers will need to update their device labels to include UDI information including device identifier (DI) specific to the manufacturer and a production identifier (PI) that identifies the device’s production unit and includes serial number, lot/batch number, software identification and/or manufacturing and/or expiration date. Medical device manufacturers have a unique opportunity to transform their labeling processes as part of their MDR compliance effort. By implementing a next generation labeling system they can consolidate labeling systems and processes, empower business users to design UDI labels, eliminate label errors and streamline the supply chain.